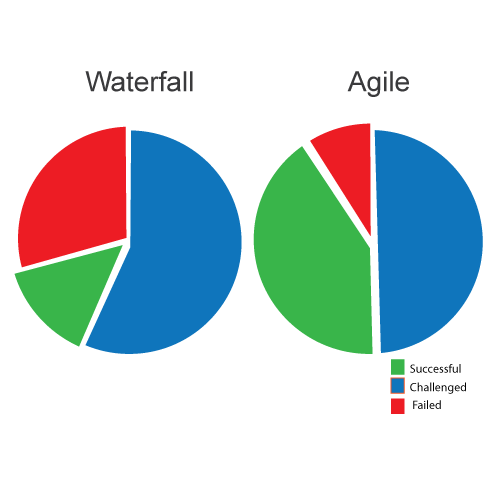 In a fast changing business environment, there is no doubt that Agile is the way to go. Rapidly changing market conditions are requiring businesses to shorten delivery cycles and become more responsive to customer expectations. The agile process seamlessly integrates software development to fit this model, plan for shorter sprint and product life cycles. The 1-4 week sprints, daily standups, continuous sprint planning, reviews and feedback makes the software development process highly efficient, productive and tightly controlled. On the business-side, it brings in visibility, revenue, speed-to-market, better risk management, flexibility, cost control and customer satisfaction. 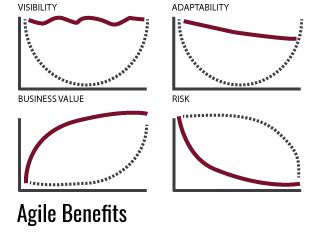 Revenue Generation – The revenue generation cycle starts as early as you can take the product to market faster, or pitch for an investment early on. Visibility/Transparency – Clients are involved throughout the delivery process and even part of daily stand-ups if needed. This ensures that they are continuously in touch with the product while it’s a work in progress. Cost Control – The cost for scaling and enhancing can be incrementally controlled which makes it easy to invest in the business. Customer Satisfaction – Active involvement of the business owner increases customer satisfaction and ensures that there is a continuous feedback loop as well. At the business side, customer feedbacks can be quickly integrated to the platform or acted upon, helping businesses to stay highly responsive. Go-to-Market – If you want to be a market leader in your business, time becomes a crucial factor. Incremental delivery model is possible with agile development and you get to hit the market faster. Flexibility/Agility – Agile model is based on these concepts and facilitates it in a big way for the businesses to stay agile to customer needs. Risk Management – The increased visibility, predictability, stakeholder engagement and the cost benefits of agile considerably helps in mitigating business risks. 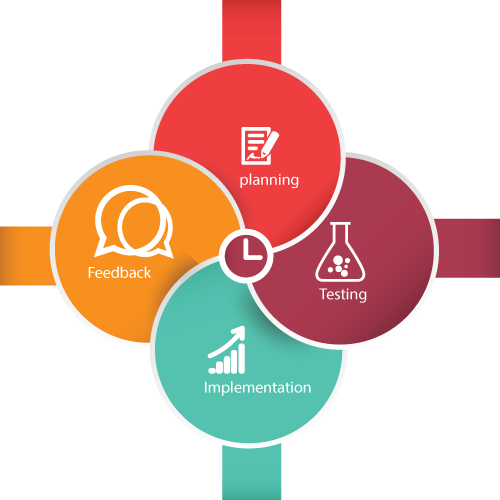 Quality Control – One of the key principles of agile is that testing is integrated throughout the lifecycle, enabling regular inspection of the product and its alignment with customer needs. Gaps can be caught early on and acted upon.